It’s Attendance Awareness Week for all South Shore Schools. We want our students to reach their full potential. To reach that potential, it’s important that they come to school regularly and on time. 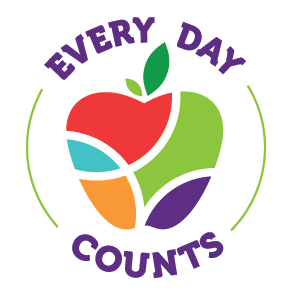 Regular attendance is one of the best ways to help ensure students are successful in school and later in life. It can lead to better grades, developing important social skills and friendships, and a greater opportunity of graduating from high school. For more information on attendance and what you can do as a parent or guardian to help your child, please see the below links.